I know I have much to catch my readers up on, and while I feel a bit remiss in not doing so, I just find myself wanting to write about open windows. I mean, can you blame me? 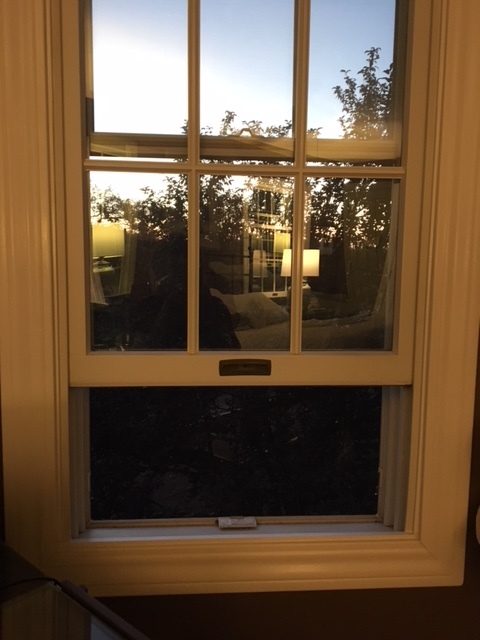 Is there anything better than an open window after months of hot summer days or cold winter nights, not to mention air so thick with smoke from the California fires? This past week I have been finally able to turn off the air conditioning and open my windows wide …. WIDE … WIDE. The fresh air feels just short of intoxicating, filling my lungs not only with such a sweet scent, but I am convinced it also clears my mind of summer cobwebs. I always say we humans can look to nature to see our reality, and I don’t know about you, but I am finding cobwebs everywhere in my home the last few weeks. Could it be that we humans also gather the same within our souls? Having been able to finally open my windows, I have felt such a high this past week at times, and I am convinced it has to do with the H20 entering my bloodstream, air that hasn’t been pumped through underground pipes that I don’t even want to think about truly. Not complaining about air-conditioning, mind you … never … but fresh air is a highly underrated commodity. Aww, but were that so, we would lose sight of the highs and the lows, and I for one, would never opt for that. The last few months were to be sure filled with some sadness and stress, much of which I’ve already shared in my posts, so I welcome all that is Fall … the cool fresh air, and the change of colors in my garden that I love so much. I can only hope that any looming sadness or pressure I’ve been harboring over the summer falls to the ground in a few months’ time along with the colorful leaves from my beloved trees. In the meantime, I will enjoy the beauty of fall, as the colors in the nature that surrounds me change ever so slightly with each passing day. Here’s to the start of Fall, the passing of another summer, the crops we tended to both in the soil and in our hearts, winter just around the corner bringing a time of rest and rejuvenation, the smell of pine and fires burning (that aren’t bringing chaos and loss to others in the fire season). I can’t wait actually, but for now, I don’t want to rush this time of fresh cool breezes and the color of fire that will dot the leaves in a few short weeks. Crazy how much we have to be thankful for. Sending Namaste to all of my readers, but especially those who have lost so much this fire season.